Cricket fiction is not only the stuff of odd recesses and antique periods, though. There has been a recent spate of highly literate, fun, international and engaging novels concentrated upon the sport. A bright place to start when discussing cricket fiction is the most convivial of these, Shehan Karunatilaka’s Chinaman: The Legend of Pradeep Mathew. Chinaman is a novel of talent not realised. It’s the story of potentially the greatest cricketer who ever lived proving not to be. Think to those cricketers you have known and willed on who never followed through at the elite level. From recent figures such as Rory Hamilton-Brown, and others doleful, like Richard “Danny Germs” Austin, to those of more parochial standing. Of the latter, Sridharan Jeganathan, Roshan Guneratne, and Anura Ranasinghe, fringe Sri Lankan spinners from the 1980s who all died young and forlorn, are likely unfamiliar. Chinaman amalgamates their obscure fates and a swathe of other half-true stories from Sri Lankan cricket into the story of a left-arm unorthodox and his resolute biographer. Tailing a course of murky sporting oblivion, it has explanations and diagrams of cricketing points (wicket, follow-on, Duckworth Lewis), some factual and some discursive. It’s full of lists, discussions of statistics and style, and features endless references to Sri Lanka’s 1996 World Cup victory. And there’s a little person in a bunker under a pitch who records the ambient audio of matches on reel-to-reel. Perhaps unexpectedly, this is all quite readable and, like Harry Potter, a page-turner. 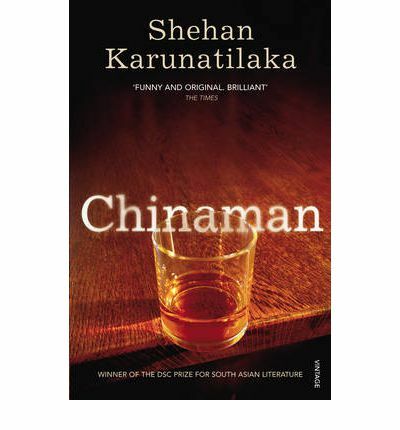 Indeed, following publication in 2010, Chinaman was a literary success with wide appeal. It won awards, avid fans, was raved about in prestigious publications, and released in the United States under a downplayed name. Many claimed, somewhat unimaginatively, that it was the “Great Sri Lankan Novel”. Such highbrow feting is perhaps a trifle surprising to cricket fans, whose love for the game is usually looked down upon by literary sorts, for the novel is ensconced in the sport and its lore in the same way meat is in a steak. Being a large book, it’s about much else besides. Its narrator – an alcoholic retired sportswriter consumed with his own failings and indulgences – leads the reader from middle-class suburban life in Mount Lavinia round about Colombo and eventually onto a backpacker bus through New Zealand’s North Island with a conceited musician. There is something of the cricket mystery genre as dubious titbits of information are trailed in bumbling detective fashion (although their theme is a forgotten cricket career rather than murder most foul). 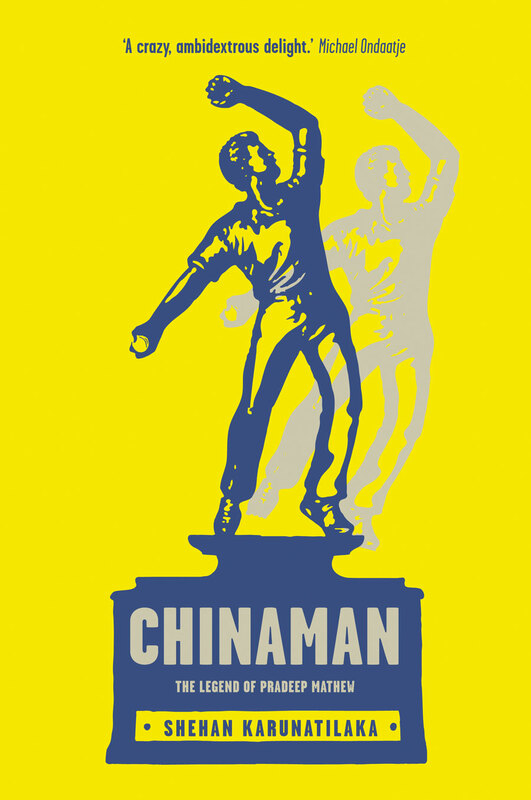 In a genial, rambling style, the eponymous chinaman’s more fantastic proportions – as an ambidextrous bowler capable of pace and spin and mimicry of others’ styles, with an arsenal of mystery spin balls that might bounce twice or fly 20 feet into the air (just like Spedegue’s Dropper) – are diverting rather than absurd. The result is fairly impeccable. Chinaman‘s detailing of cricket through the 1980s and early 1990s – with some figures fused and others altered in name – is accomplished. Australians are boorish, Boycott is needling, all are condescending to Sri Lanka, and sinister forces lurk at the game’s edges. Moreover, cricket is not only balls bowled or shots played and runs scored, but what happens when these things occur – a sport of entireties and ancillaries. The depiction of the game’s ardency is particularly superb; the habits of those who populate the novel are much the same as of those who read this publication. Faultless and intricate in construction, Chinaman nonetheless misses an ineffable something of the game. Without being able to point to definite error, the depiction of cricket, like a reproduction made from a master’s canvas, feels a little off. It seems a pastiche at times, a mimicry of those who love the game, with the detailing exact and the effect meaningless. Perhaps here is the distinction between cricket fiction where a novelist puts the game to use, and a devotee – an obsessive, fanatic, tragic – using the novel as a vehicle for cricket. What to do, though, with a novelist hijacking cricket for his own ends, one not worshipping at the game’s altar with his art? Well, read him for a start. Whatever quibbles about Chinaman as a book of cricket, it’s a cavorting read. Nicholas Hogg, writing for ESPNcricinfo, suggests writing a cricket book yourself. Sensible notion, unlikely to be done. How about moving onto another book? Grand. Let’s leave Testkill (not to mention Ted Dexter’s golf murder mystery, Deadly Putter) until it turns up at a jumble sale. There’s plenty of others for the meantime. The Great Lankan Opening Batsman once claimed that just because he could hit a ball with a bat it didn’t make him better than anyone else. Was he being falsely modest or genuinely humble? Like many of our local umpires and selectors over the years, I will give him the benefit of the doubt. But there is some truth to what he says. Does Sri Lanka need more schoolteachers, more soldiers, or more wicketkeepers? What’s more useful to society? A middle order batsman or a bank manager? A specialist gully fieldsman or a civil engineer? A left-arm spinner or a plumber? I have been told by members of my own family that there is no use or value in sports. I only agree with the first part. I may be drunk, but I am not stupid. Of course there is little point to sports. But, at the risk of depressing you, let me add two more cents. There is little point to anything. In a thousand years, grass will have grown over all our cities. Nothing of anything will matter. Left-arm spinners cannot unclog your drains, teach your children or cure you of disease. But once in a while, the very best of them will bowl a ball that will bring an entire nation to its feet. And while there may be no practical use in that, there is most certainly value. Benjamin Golby is a pre-school music teacher and roulette croupier. 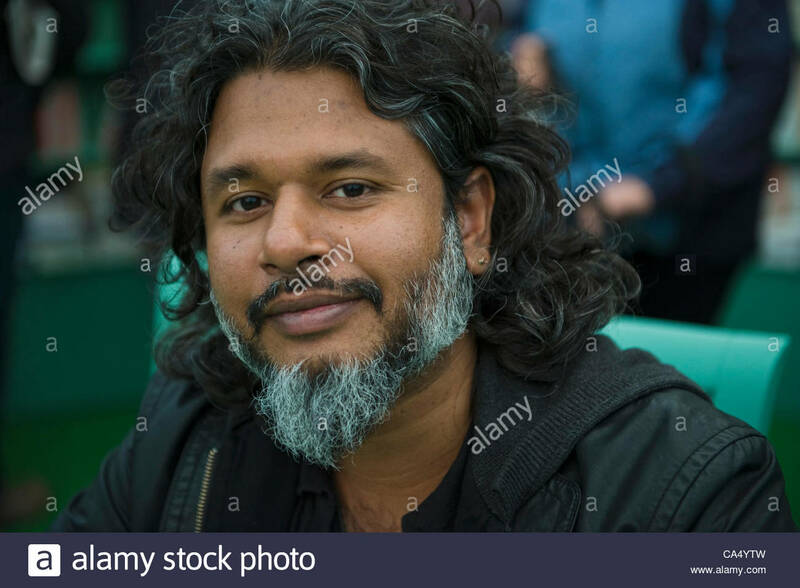 Jeffrey Phillips is a Melbourne-based artist © ESPN Sports Media Ltd.
By (author) Shehan Karunatilaka…….Where is Pradeep S. Mathew – spin bowler extraordinaire and ‘the greatest cricketer to walk the earth’? Retired sportswriter W. G. Karunasena is dying, and he wants to know. W.G. will spend his final months drinking arrack, making his wife unhappy, ignoring his son and tracking down the mysterious Pradeep. On his quest he will also uncover a coach with six fingers, a secret bunker below a famous stadium, a Tamil Tiger warlord, and startling truths about Sri Lanka, cricket and himself. Winner of the DSC Prize for South Asian Literature.